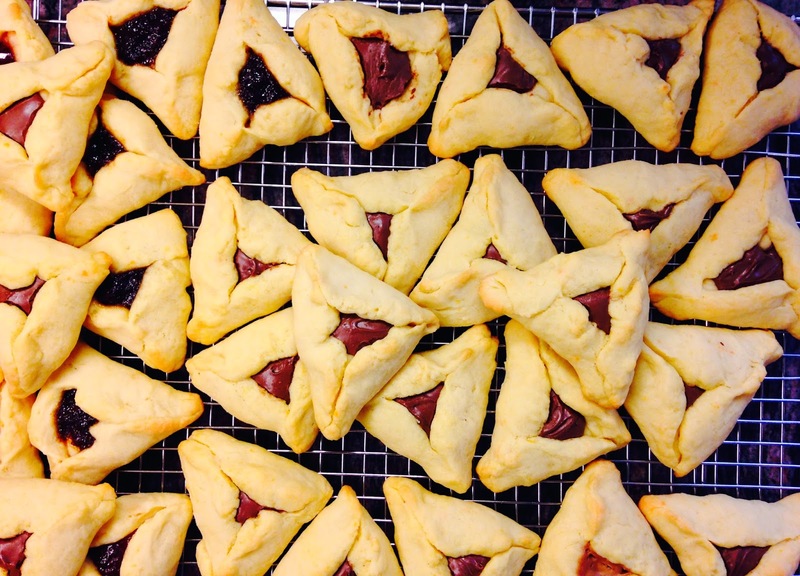 This year I tried a new hamentashen recipe along with the old standby. 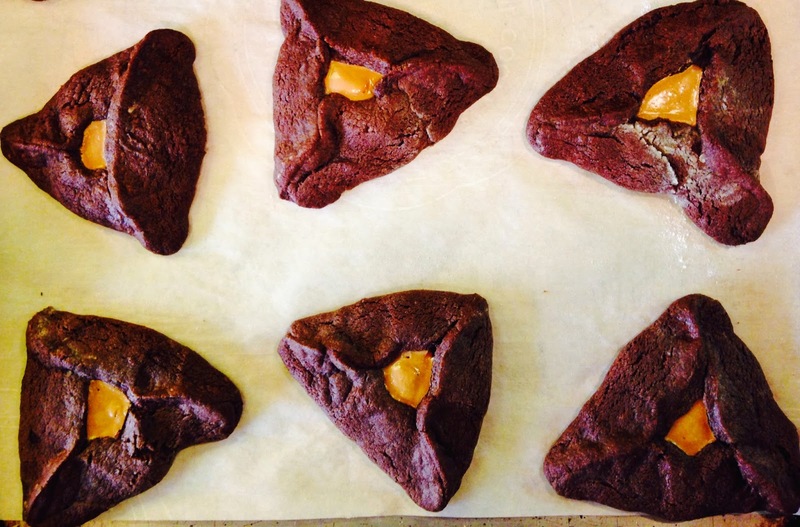 Chocolate Brownie Hamentashen with peanut butter filling (recipe here). I also used nutella for some, and cookie butter, (also called Biscoff or Speculoos spread) for some. Pretty delicious. I tried to get Jenna interested in these, but she only wanted the traditional style, with nutella filling. I did make traditional (cookie dough) hamentashen with several other fillings: fig butter (and they tasted like fig newtons-delicious! ), cherry jam, and cookie butter. My favorite flavor is poppyseed, but I did not make any this year, since I am the only one in the family who likes them. I don't need a batch of my favorite hamentashen calling my name every day between now and Passover. Next, I will try my hand at some baked doughnuts, just for fun. I can't believe I did it! There were almost tears, and it was harder than I expected. 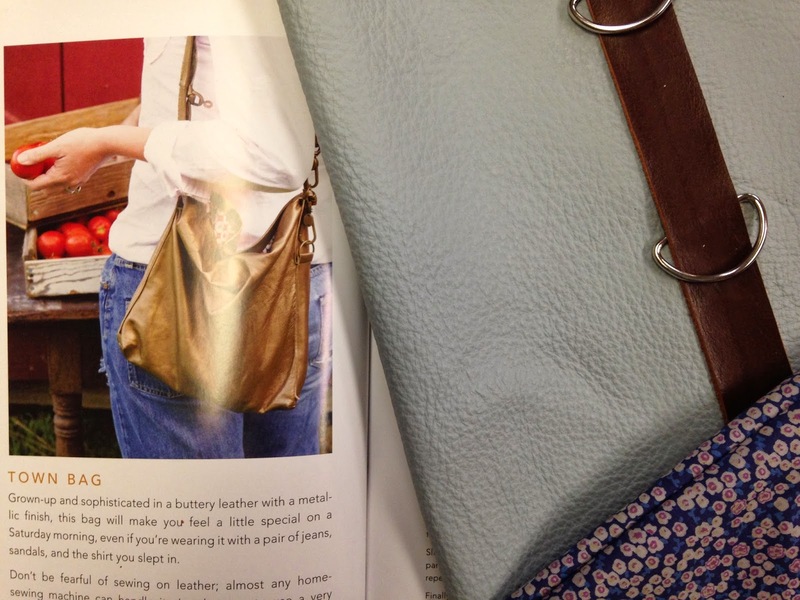 The pattern is the Town Bag from WEEKEND SEWING by Heather Ross. I got the leather scraps at the FIDM Scholarship Store (in downtown LA), and the total cost for the leather pieces was $20. 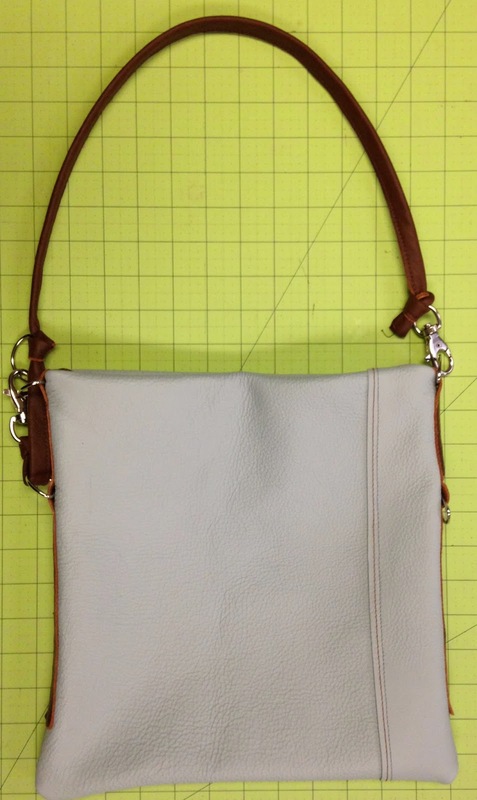 The main body of the bag is made from a piece of baby blue leather that is a little too thick for this project, but I did not know it until I was already in the middle of construction! The strap and side pieces are made from a much thinner piece of brown leather. The lining is cotton that I actually purchased in Tel Aviv a few years ago. I added a magnetic snap inside the top of the bag. Jenna liked it so much that it is now hers! I plan to look for a light weight piece of leather soon to make another one. 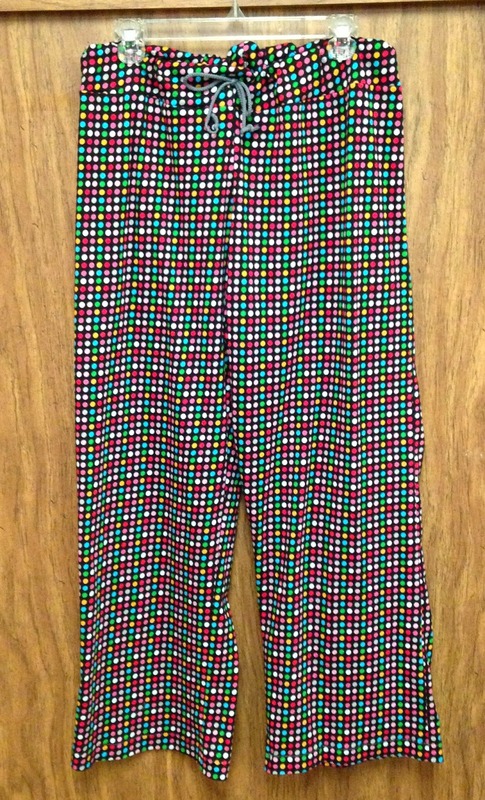 This was a challenging project, but I will try it again.